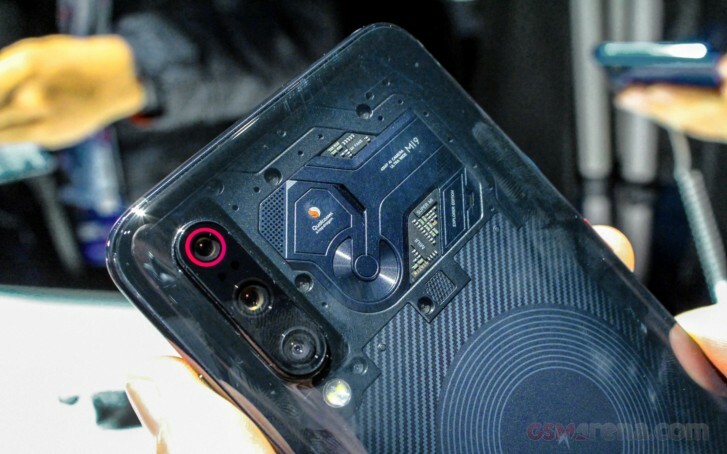 Xiaomi Mi 9 arrived with a transparent back panel and is already selling with 12 GB RAM and 256 GB storage. Product Director promised Mi fans that an 8/256 GB option would also be available soon at a lower cost, and the time has come. Lei Jun, Xiaomi CEO, and co-founder, announced that the variant would launch tomorrow at online and offline Mi Stores. 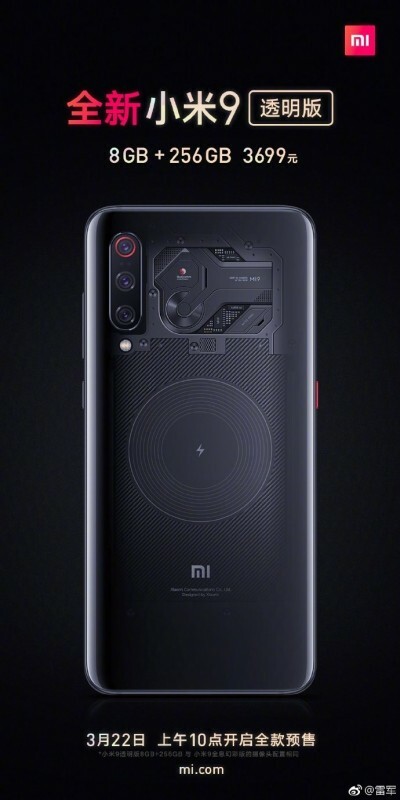 The Xiaomi Mi 9 Explorer (or Transparent Edition) was announced with a 48 MP camera and f/1.5 aperture in front of the sensor. However, due to the high demand, the company executive announced the 8/256 GB units that will start selling tomorrow have the regular f/1.8 lens, seen in the vanilla Mi 9. Other specs remain the same - Snapdragon 855, 6.4� Super AMOLED screen with a small notch for the 20 MP selfie shooter, 3,300 mAh battery with 27W fast charging, and up to 20W wireless charging. The price is CNY3,699, or slightly above $550/�480. Shipping of the 8/256 GB phones is expected to start in three weeks.